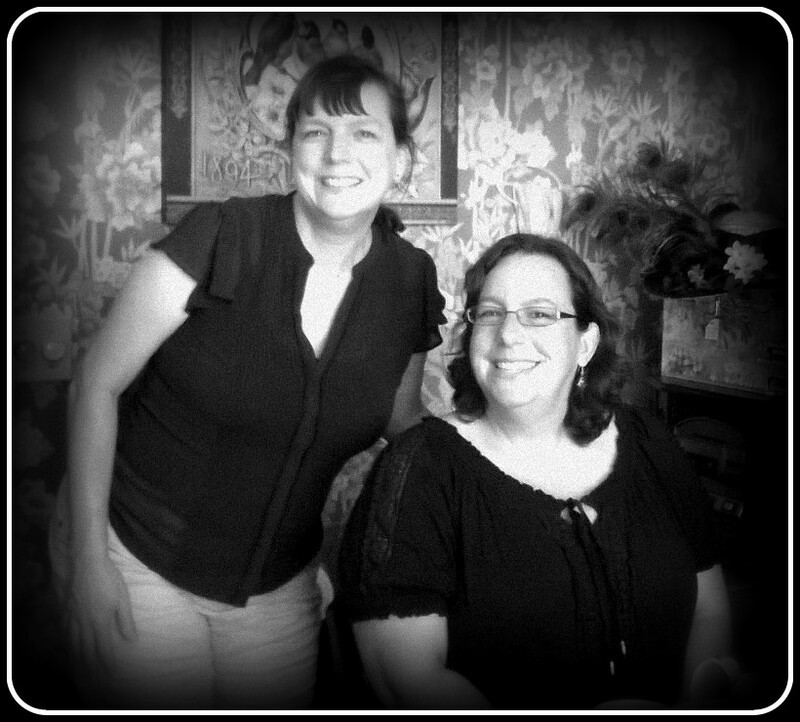 I recently delivered my newest young adult novel to my editor, Maggie Lehrman, at Amulet Books/Abrams! The book is currently slated for publication in Spring 2019. We haven't yet announced the title or said what the book is about (although I've left some clues on my social media pages). I'm working with my publisher to potentially introduce the book to everyone in the middle of January. I don't have any new novels publishing in 2018! 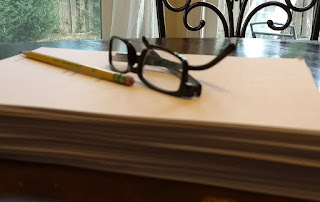 Between April 2013 and September 2017 I released six novels and a short story that was part of a YA horror anthology, and while all of those publication dates have been exciting beyond belief and utterly surreal, they've also been exhausting! Releasing all those novels in a relatively short amount of time meant I also wrote them fairly quickly, which has been a challenge with books entailing a great deal of historical research. Not releasing a book in 2018 means I'll have more time to write! I'll spend the first half of 2018 revising and editing #SecretProject with Maggie and other members of the editorial team at Abrams, and during the second half of the year, I'll likely get to start promoting the book—which means cover reveals (always fun! ), appearances, and advance reading copies. I also plan to embark upon a new writing project that I've been thinking about for a while, and throughout 2018 I'll be speaking at schools, libraries, and other events. Thanks so much to everyone who read my books in 2017, whether you're one of my long-time readers or someone who just discovered my work. Odd & True was just named to Booklist Editors' Choice: Books for Youth, 2017, and it's a YALSA 2018 Best Fiction for Young Adults nominee. I'm incredibly honored! I'm speaking to several groups of teens this month, and part of my presentation includes discussing resources for young writers. In order for these teens to easily find these resources, and as a guide for students unable to attend my talks, I'm providing links for these opportunities below. Please note that I'm not affiliated with any of these organizations aside from Willamette Writers. Provides various awards to teen writers in grades 7 through 12, scholarships to graduating high school seniors, and financial aid to students wanting to attend summer creative camps. An online magazine that publishes “Stories, Poems, and Art by Kids” up through age 13. Free to students in grades 1 through 12. 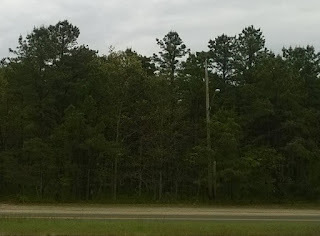 A list of links to opportunities for diverse writers and articles about writing diversely. Writing opportunities for Oregon students in grades five through 10, including meetings and special online content. A chance for young writers and artists to learn from professionals in the Portland area. The events are free for students ages 8 to 18 and held at Powell's at Cedar Hills Crossing from 2 to 3 pm every second Saturday of the month from October through May. Offers a creative-writing workshop every summer called “Teens Who Write” for students ages 11 to 18. NOTE: No one should charge you money to publish your work unless they are clearly a self-publishing entity, such as Amazon's self-publishing services. If you are interested in publishing a novel through a traditional publisher, start by finding a reputable literary agent through a source such as the Association of Authors' Representatives. Literary agents should not charge you money to work with them, aside from the percentage of your earnings that they receive when they sell your work (the agent's commission). Please follow each agent's guideline for submission requirements. You will likely need to include a query letter with your submission. If you would like to add another resource for teen writers in the comments section of this post, please do so, as long as it's a free contest for teens or a reputable organization or workshop. If you are a teacher or librarian who would like to inquire about scheduling me for a visit, please see my Author Visits page for information about my presentations and fees. During this school year I'm offering a special program for schools reading The Steep and Thorny Way as part of the Oregon Battle of the Books. My stay in St. Louis will also include two middle school visits that are still in the works. If you're one of the students who attends those schools, I look forward to seeing you soon! Signed copies of several of my other books are also available at these stores. Please contact the stores directly to find out which of my signed editions they have in stock. If you're ordering online from Fountain Bookstore, look for the words "On Our Shelves Now" below the books' listings. If my novel is listed as sitting on their shelf, it's a copy I signed when I visited Richmond earlier this month. I'll try to post at least one more update before the end of 2017, but if I don't get a chance, thank you, readers, for another wonderful year! Halloween is my favorite season of the year, so it feels wrong not to do an October giveaway of some sort. So, without further ado, I present to you the Odd & True Halloween Giveaway! The pack includes three Odd & True bookmarks, a signed bookplate, a bag of monstrously marvelous Odd & True tea, and a whimsical teaspoon (the design of the spoon may vary from the one shown in the photo). 1. You must be 13 years or older or have the permission of a parent to enter. The giveaway is open internationally. ☙ Post a photo of yourself with a copy of Odd & True on Twitter, Instagram, Tumblr, or another social media site and tag it #OddAndTrue. 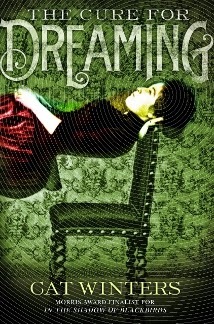 ☙ Leave a review for Odd & True on a site where the book is sold (Amazon, BN.com, Powells.com, etc.). If you've already posted a review on one of these sites before Oct. 23, THANK YOU, but please post it at another online store during the giveaway dates in order to get counted. It does not need to be a glowing review. ☙ Post your original Odd & True fan art on Twitter, Instagram, Tumblr, or another social media site and tag it #OddAndTrue. ☙ Post a photo of you recreating the book's cover, alone or with a friend, on Twitter, Instagram, Tumblr, or another social media site and tag it #OddAndTrue. 3. Fill out the following form. If you post your photo/artwork/review on more than one site or choose to do more than one of the above options, you may fill out the form again, just please list a new URL each time you enter. In order for your entry/entries to be counted, you must submit the form by 11:59 pm Pacific Time on Wednesday, November 1, 2017. I will pick three (3) random winners on November 2 and contact them via email. Good luck, and thank you for reading Odd & True! I've been busily coordinating my fall appearances with my publicist and other individuals, and now I can finally reveal where I'll be heading in October and November of this year! Skyland will become a place where literature and science and fantasy meet. 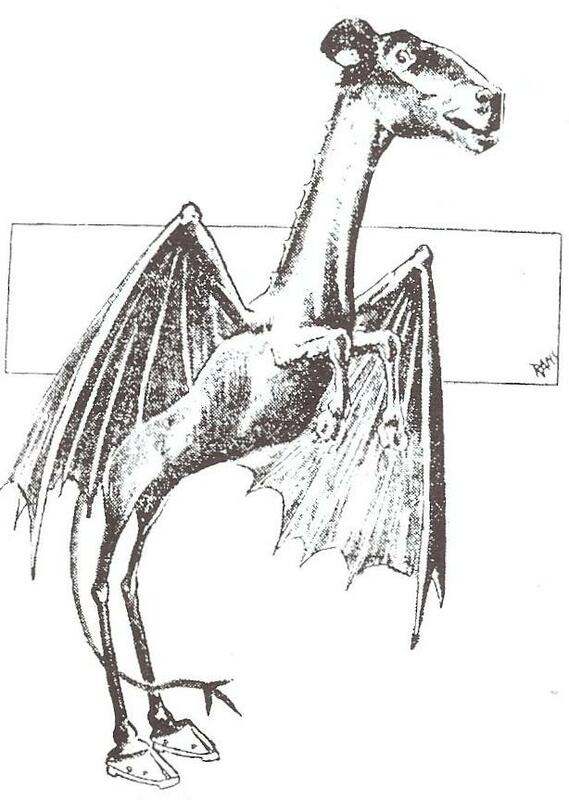 We will spend the afternoon learning about cryptozoology, creating monster traps, building monsters, and hunting them. 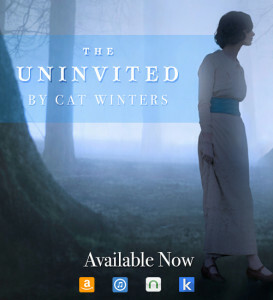 Cat Winters, the author of “Odd and True,” will talk to kids and adults about writing and cryptozoology (registration required). Happy Fall, my favorite time of year! If You Participated in the Pre-order Campaign . . . I've received a couple emails from readers who submitted their info for the Odd & True pre-order campaign (thank you for pre-ordering!). My publisher informed me that the prints are in the process of being made right now and will ship to readers shortly. Thanks to everyone who's ordered or picked up a copy of Odd & True! It's been a marvelous (and MarViLUs) week of celebrations for the publication of Odd & True! 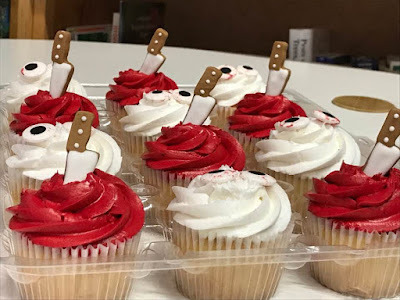 Here's a gallery of photos from the September 14 launch party at Powell's Books in Beaverton, Oregon, plus a pic from a special steampunk tea party. Me, armed and ready to speak at Powell's. The Odd & True discussion and reading. Me (left) and my sister recreating the Odd & True cover. Jenn Reese and Jennifer Wolfe. A dedicated Powell's staff member who jumped in and took a cover photo. Stephanie Feldstein and Laini Taylor. Heidi Schulz and Lisa Schroeder. 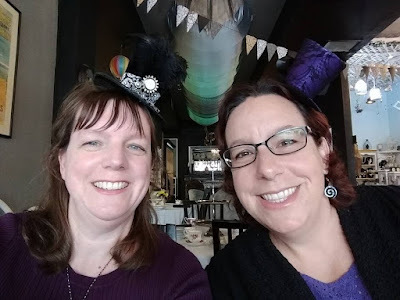 Me and my sister, capping off publication week celebrations with a steampunk tea at Clockwork Rose Tea Emporium. 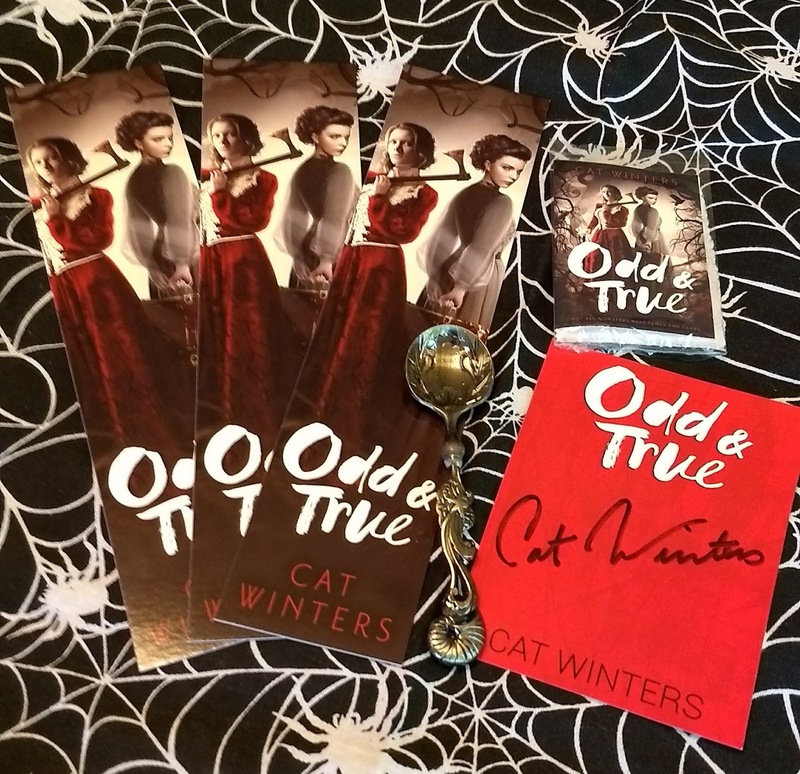 ODD & TRUE Release Day!!! IT'S HERE!!!!! Today is the official publication day of Odd & True, my brand-new tale of sisters, monsters, and the power of storytelling. 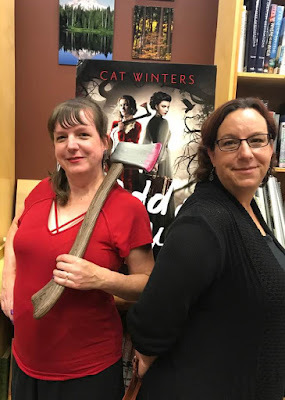 I'm celebrating Odd & True's release at a launch party this Thursday, September 14, 7:00 pm, at Powell's Books at Cedar Hills Crossing in Beaverton, Oregon. I'm bringing along bookmarks, cupcakes, Odd & True tea, and props for guests to use to recreate the book's cover. I'm also celebrating the release of the book with the Odd & True Blog Tour, hosted by Rockstar Book Tours. Head over to the main post, and you'll find links to reviews, guest posts, interviews, and a giveaway. 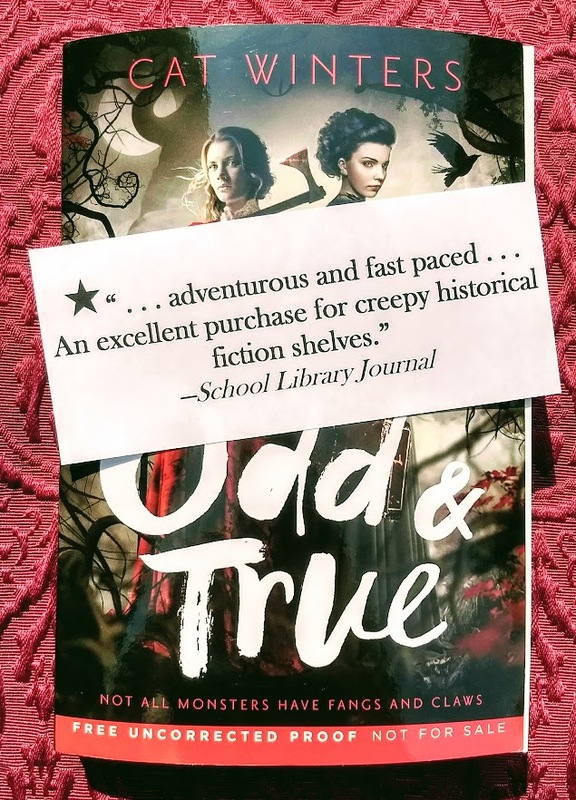 Second Starred Review for ODD & TRUE! Yesterday I shared the starred Booklist review, and today I'm ecstatic to announce that Odd & True received a second star, this time from School Library Journal! 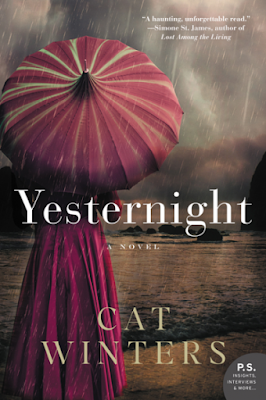 You can read the full review at SLJ.com. Thank you, School Library Journal! We've had some other wonderful trade reviews come in during the past month, as well. Here's a full list of the additional advance praise we've received. I'm extremely grateful for all the kind words for this book. Odd & True is coming September 12, 2017, from Amulet Books/ABRAMS. 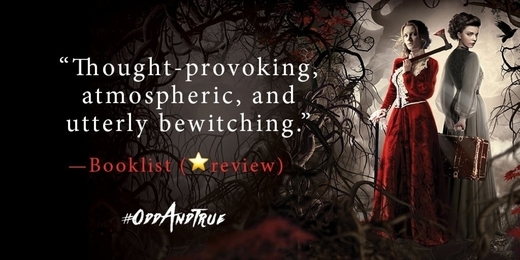 I'm thrilled to pieces to announce that Booklist gave Odd & True an absolutely beautiful starred review! Just a little over a month left until Odd & True hits shelves around the world. Look for giveaways, a blog tour, and other treats in the coming weeks! July 1 Update: The pre-order giveaway is now closed. I ran out of my limited supply of giveaway goodies. Thank you so much to everyone who has pre-ordered Odd & True! 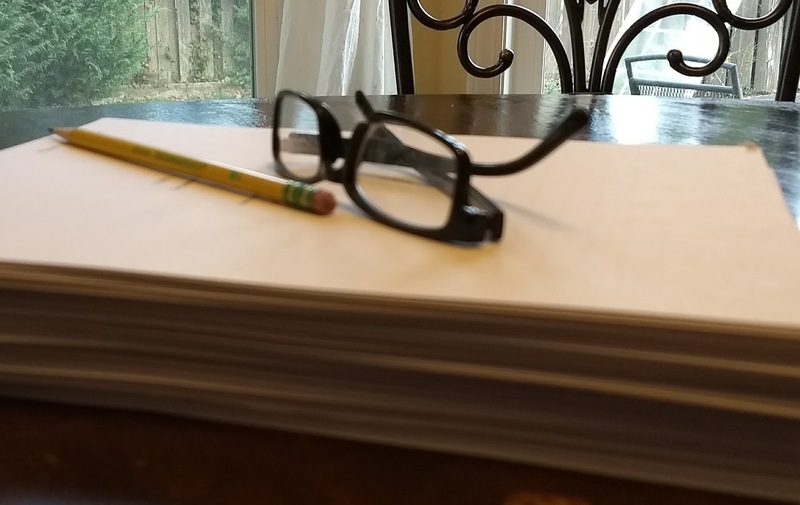 As I mentioned in my last post, I'm hard at work on a new young adult novel right now, plus I'm getting ready for my whole family to arrive from out of state to celebrate my daughter's high school graduation next week. If you don't see me on social media much over the next month or two, it's because I'm either hurrying to meet my latest deadline or busy with loved ones. I'll also start traveling for appearances again in late June. Before I duck away too much, I'll leave you with a few updates about my novels and upcoming events. 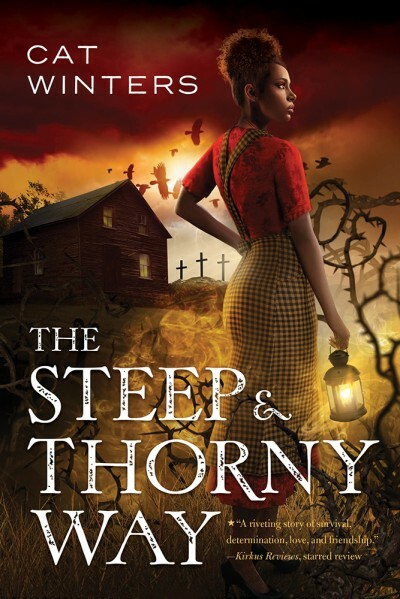 First of all, I'm excited to announce that The Steep and Thorny Way was selected for the 2017-18 Oregon Battle of the Books (OBOB). If you're an Oregon student in grades 9-12 in a school that participates in OBOB, you'll get to read not only my book, but eleven other titles, including novels by Stacey Lee, Jason Reynolds, and Renée Ahdieh. I'm extremely honored that Steep will be part of this incredible program. I also learned that The Steep and Thorny Way is the 2017 Jefferson Cup Award winner for Young Adult Readers. I'll be traveling to the Virginia Library Association's annual conference in October to accept the award and discuss the novel. I'll also be promoting Odd & True at the ALA Annual Conference in Chicago on Sunday, June 25. If you're a librarian who's planning to attend the conference, you'll be able to see me at the YALSA Coffee Klatch at 9:00 am. I'll post my signing schedule/ARC giveaway details as soon as I receive more info. 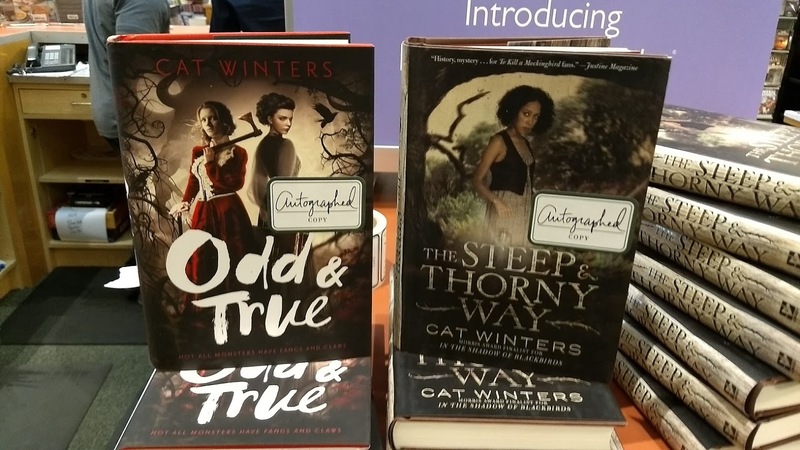 And if you're heading to BookCon in New York this weekend, you can grab an Odd & True ARC at Abrams Booth #2007. Follow @PiqueBeyond on Twitter for more details. Check back here on June 12 for info about a special, limited-time Odd & True pre-order giveaway. The new novel is not a sequel to Odd & True. 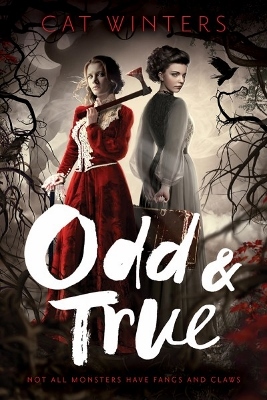 I know that the cover of Odd &True looks like it's the beginning of a series, and I know that people who read it might wonder if there will be either a sequel or a prequel (more on that topic in a sec). 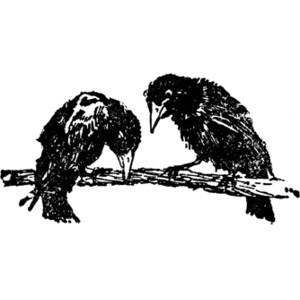 And I also know that the title of Secret Project might even have people questioning if it's a sequel to In the Shadow of Blackbirds (another bird is involved in the name). But, no, like all my other books, Secret Project is a standalone, and I'm extremely excited about it. So, why don't I ever write sequels? 1. I really like standalone novels. As a reader, I prefer them. 2. My books aren't quite successful enough to merit sequels. They haven't yet made it onto a bestseller list. 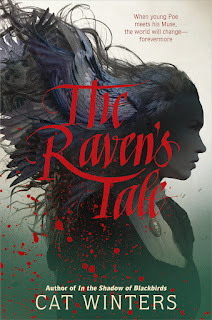 Moreover, I write historical fiction, which isn't necessarily associated with series in the world of YA publishing (unless you're a bestseller). To be able to convince a publisher to buy my historical series, even one that involves monsters or ghosts, my books would need a stellar debut. My novels have sold well, largely because of library sales, awards, and word of mouth (thank you librarians, award committees, and readers! ), but those types of sales, while wonderful, are more gradual, less flashy. The chances of my books "breaking out" and achieving bestseller status are much slimmer than the odds for novels with major publicity budgets supporting them. I do often consider writing sequels. 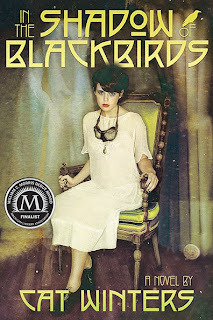 In fact, I've written the first chapter of a sequel for In the Shadow of Blackbirds, but I quickly tucked it away, realizing I'd put my protagonist through enough in the first book. I preferred to leave her story on a note of hope. I've thought about writing a sequel to The Cure for Dreaming set ten years after that novel ends, but that particular book, despite gathering a strong feminist following, has been my least successful one financially. It would be a struggle to convince anyone to publish a second book. I have proposed the idea of an Odd & True sequel to my agent, but again it all comes down to sales. I don't yet know how Odd & True will do. Right now it's safer if I write another standalone and put the idea of a sequel on the back burner. I'm certainly not the only author in this situation. I've talked to novelists whose publishers originally asked for a three-book series, but sales for the first books were so low (there are many factors that contribute to both high and low book sales) that the series were cut after the first or second book, sometimes leaving readers with dangling cliffhangers. Yes, self-publishing the second or third book is an option, but when writing is an author's full-time job that puts food on the table, taking a year off to write a book with no publisher backing it is equivalent to you working your job for free for a year, with the hope that someone might pay you eventually. What can you as a reader do to help your favorite authors release their series? For starters, buy the authors' books. Pre-order sales are crucial to a book's success; they count for bestseller lists. If you can't afford to pre-order, then request the books from your local library. Library orders do help immensely. And leave reviews for books on online ordering sites like Amazon. Don't stock up on free ARCs (advance reading copies) if you don't have the means to promote your reviews to a wide audience (see this Twitter thread from bookseller Nicole Brinkley and this thread from Justina Ireland for more info on this subject). Most importantly, don't download free books from sites offering illegal copies. Every time you do so, you're decreasing your favorite authors' chances of being able to continue writing more books. Publishers look carefully at sales, and if an author's books aren't selling well enough, even though the books are popular in the online community, the publisher may stop buying the author's books or at the very least lower their advances. The bottom line: publishing is a challenging business, and competition is fierce. Becoming a published author does not guarantee that every book an author wants to write will get published. If I do decide to create more Odd & True books, and if the first novel does find success, I will certainly share that news as soon as I can. Until then, rest assured Odd & True can stand on its own. More info on the Secret Project to follow. I think fans of dark literature will be excited about the subject matter . . .